The Carolina Dog is a medium sized dog that is considered a primitive breed because of his rarity and has much of his ancestors’ primitive natures still intact. 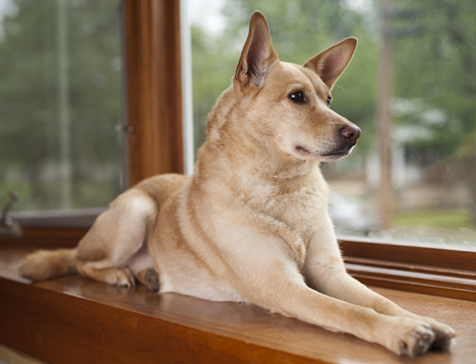 Since he is not overbred, the Carolina Dog does not seem to have the health problems that many domesticated breeds are prone to. He is not commonly found outside of the United States and even is virtually unknown except for the southern region of the United States. He is good with children, but does need a family with a strong leader in place so he knows his role within the familial unit. He is naturally distrustful of strangers. The Carolina Dog is not an overly affectionate dog until he bonds closely with you. He is quiet and somewhat aloof. He is naturally wary of strangers and will closely watch them, although he should never act aggressively towards people. He does require early socialization to ensure he does not become overly shy and unwilling to accept any human interaction. He does need a strong leader to work with him and train him properly so he can become a well-adjusted member of the family. He is a natural hunter and will many times bring gifts of dead animals home for his family. He is a pack animal and will form a very close bond with other dogs within his home. Since he is such a social dog, he thrives in a home that has at least one other dog for companionship. The Carolina Dog has a high prey drive and should be closely watched when small pets are out of their cages. He may do well with a cat that he has been raised with since puppyhood but should still be watched.